Up until the age of 14, I had long, beautiful, silky, straight brown hair. It was a dream, but then I turned 15 and my hair life was turned upside down. It was goodbye smooth, sleek hair, shampoo advert hair and hello dry, slightly insane curls! (Thanks Dad! :p) Bearing in mind this was in 1998 and straightener popularity didn’t really kick in until 2001. I look at photos of my final years in comprehensive school and all I see is hair. Since then, I have tested hundreds, possibly even thousands of products in the hope of finding something strong enough to tame ‘the beast.’ After years of hair trials and crazy money spent, I have finally found the products that I would be happy to spend the rest of my life with. I often get compliments on my hair which is something I thought would NEVER happen to me. 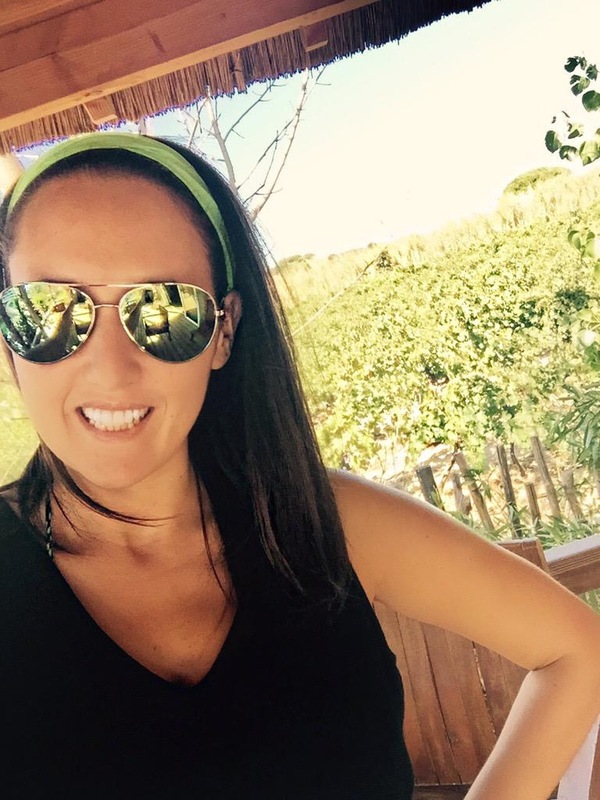 I’m hoping that any ladies out there who suffer this same hair issue will benefit from this blog. Trust me, I know what I’m talking about. My most recent discovery is that of a perfect hair mask. The photo below shows my top 3. 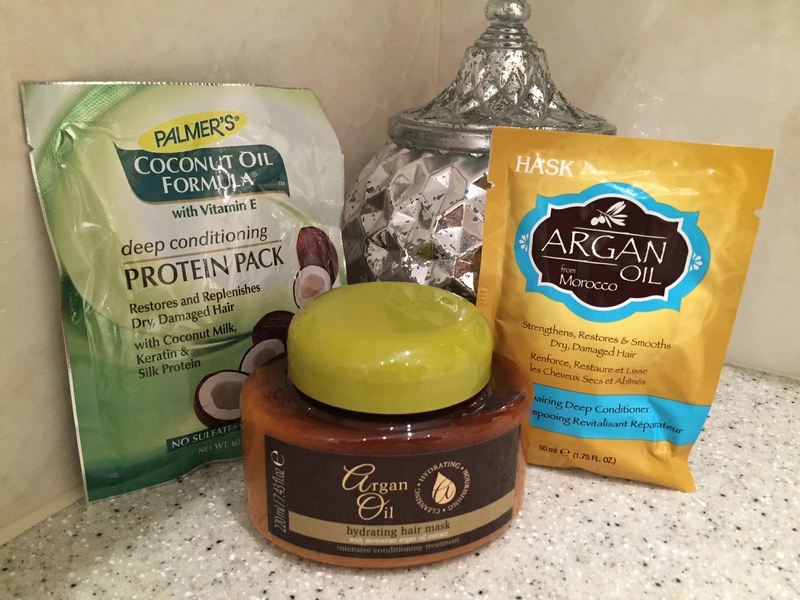 I use this when I wear my hair curly as opposed to straight – you’ll know why once you’ve rinsed it. It keeps my curls tamed before I’ve even added any other product. Leave it in for 7 minutes (for optimum results) then rinse out. I don’t follow it with a conditioner because I never feel it’s needed. Price varies for this product but you can get it from Amazon for approx. £2. I love using this product and not just for the divine coconut smell. It’s a perfect conditioner substitute which I leave on for 20 minutes. It’s intense but you just know it’s doing you good. Plus any company that is against animal testing is alright with me! I paid £2 for it in Sally’s but you can also get it online from Superdrug. Use it before straightening you hair. My all-time favourite hair mask. It’s super strength treatment works wonders on dry hair and leaves your hair smelling beautiful for days. I use this mask as a conditioner substitute and leave it on for 10 minutes – any more would be too much. 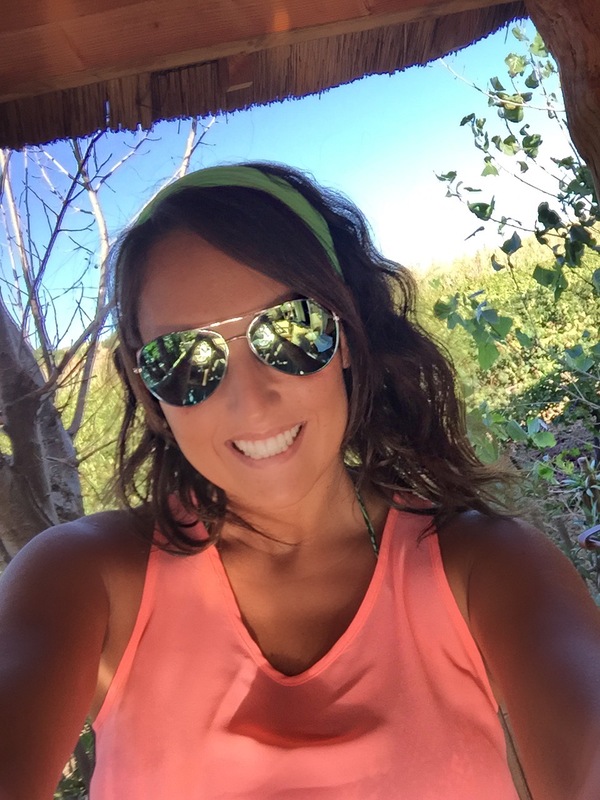 Use the entire pack once a week and you’ll see how quickly your hair starts to grow! I use this mask if I’m straightening my hair as it makes it super shiny. It definitely takes the hair mask crown. Boots have recently started to stock this. 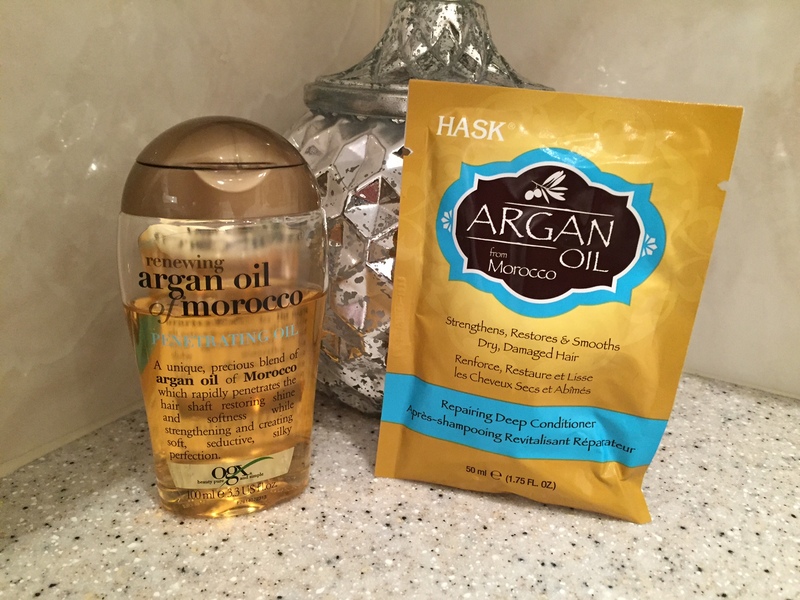 Following use of the Hask Argan Oil Mask, I run OGX Renewing Argan Oil through my hair (see below), root to tip (but concentrating more on the tips). I used to use £50 Moroccan Oils but expense issue aside, it worked in the exact same way as this little beauty. 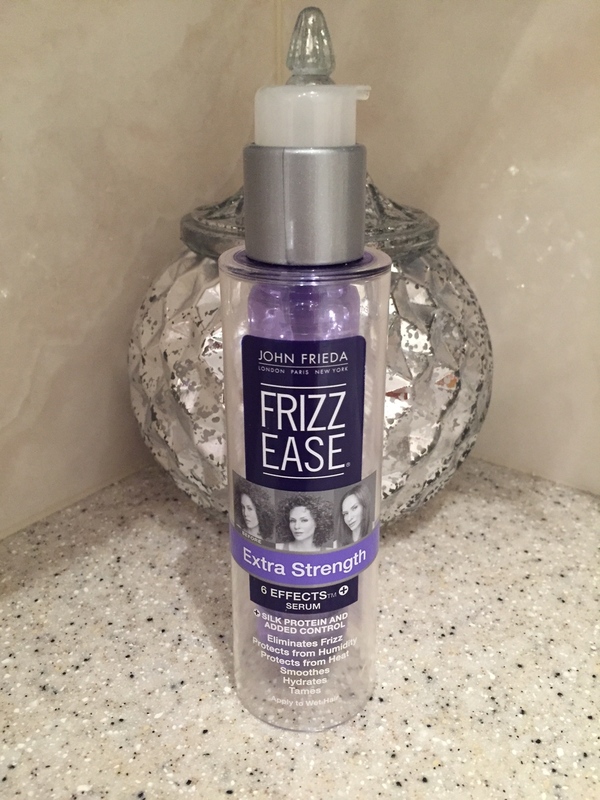 Once my hair is blow-dried using my favourite ever hair dryer, the Babyliss Big Hair Spinning Brush (no other hair dryer will do), I run John Frieda Frizz Ease Extra Strength Serum (see below) through my hair before straightening. I don’t actually think this serum was invented to be used in this way but it WORKS! My hair is completely protected from the 200 degree heat of my straighteners and it gives a sleek and glossy finish. 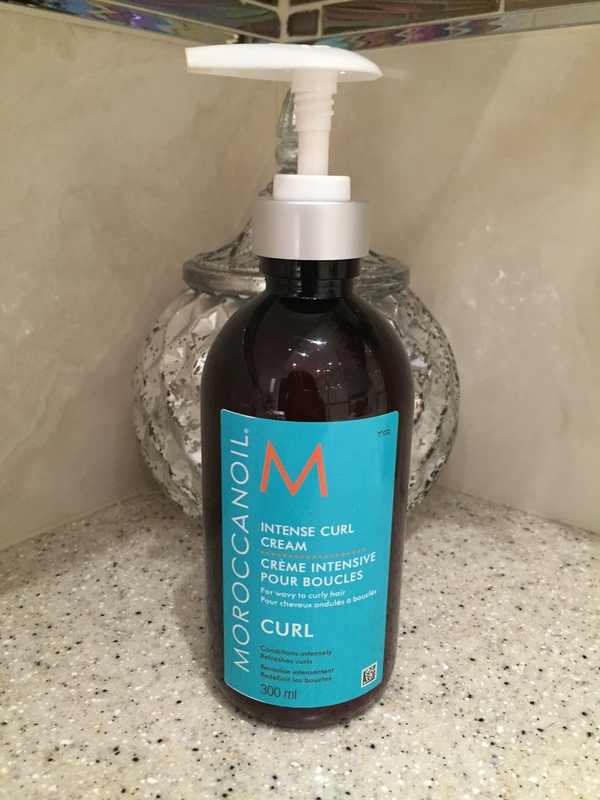 For the days you wish to embrace your curls – and ladies, sometimes you should – Moroccan Oil Intense Curl Cream (see below) is a dream solution for your hair. Throw out your mousses that make your hair feel like something out of a Walkers packet. This cream gives me defined and smooth curls everytime. For curls, leave to dry naturally and for beach waves, run your fingers through your hair from root to tip halfway through the drying period to separate strands and calm the curl. I bought mine from Amazon for approx. £22. Trust me, it’s worth every penny and last AGES! Finally, I’m going to recommend Tres Semme’s Luxurious Moisture Shampoo and Conditioner. It’s not stupidly expensive but the after affects would make you think it was! It really adds moisture to dry, damaged hair without adding too much that it makes the roots look greasy. I refuse to wash my hair in other shampoo and conditioner… unless i’m using a hair mask of course! So there we go. I’m using my 17 years of experience in tackling crazy hair and I’m choosing to share my secrets with the world. Hopefully i’ve helped you and given you incentive to get the most out of both your curly and straight looks! Now go, enjoy playing around with these products – you will NOT be sorry!